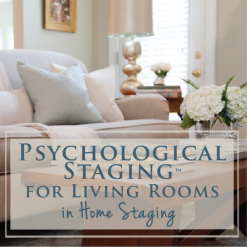 Expert Psychological Stager™ Get the best home staging training in the United States, offered in Nashville by award-winning home staging expert, The Decorologist®. 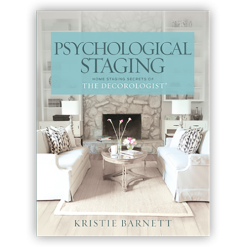 Expert Psychological Staging™ is a systematic and effective staging method developed and taught by industry leader, Kristie Barnett, The Decorologist. 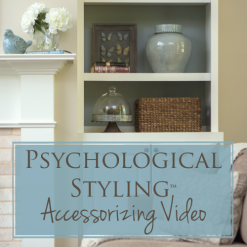 Expert Psychological Staging™ is a unique, scientific system of home staging that focuses on the psychological processes of both the buyer and the seller. This system is based on the science of visual perception and emotional attachment, and its application maximizes the selling potential of properties in a way that benefits sellers and real estate professionals alike. Now you can learn this method from Kristie and become a high-caliber professional home stager. 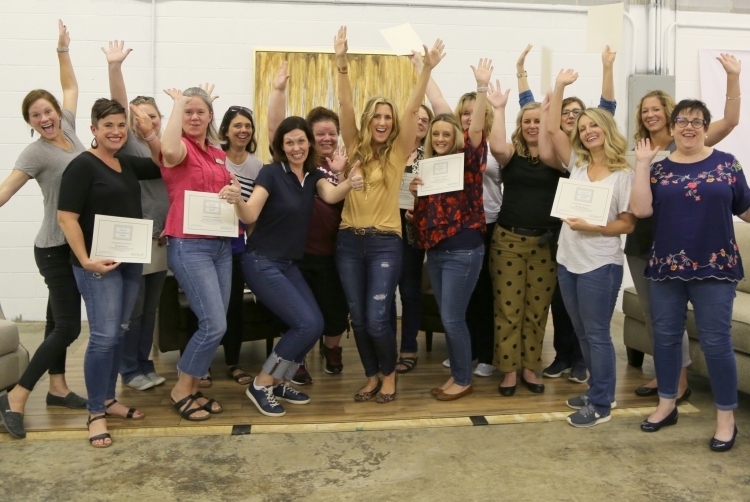 Her course provides the most highly-specific training in furniture and decor arrangement, and paint color in the home staging industry. 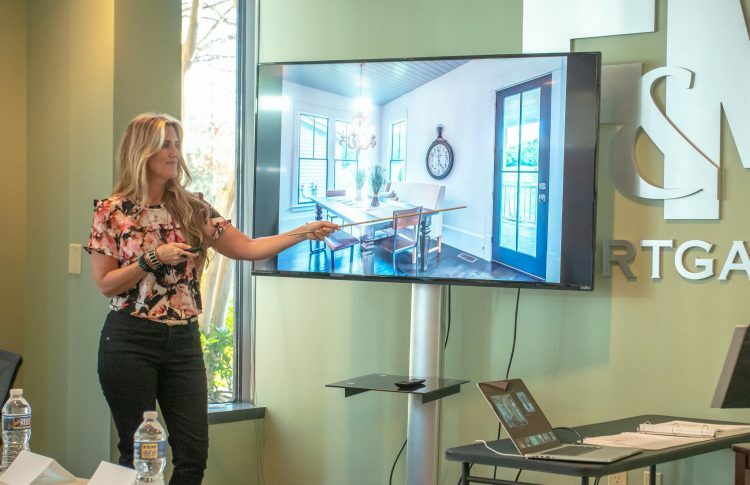 This streamlined, no-fluff three-day Real Estate Staging Association® (RESA) accredited program provides IN-PERSON training with Kristie herself. 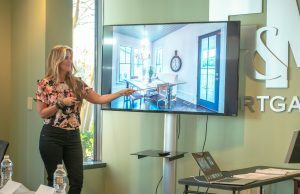 She will personally teach you a completely innovative kind of home staging, setting you up to confidently apply advanced staging techniques to any residential property as a certified Expert Psychological Stager™ (EPS™). The course also includes an hands-on staging experience on property with targeted feedback to improve your skills. I was so impressed with the wealth of information I received at Kristi’s EPS training class. I will be referencing all the material again and often as I pursue my staging career. The experience (and fun!) of staging a bed and breakfast on our last day was priceless. I would highly recommend this class to anyone interested in a staging career. Thank you Kristi!! I am just back from Nashville after an amazing learning weekend with Kristie Barnett! The weekend was packed with fabulous material, a great group of people, and a very successful hands on staging experience. 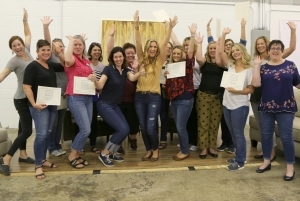 This class offers everything you need to begin a successful staging business. I highly recommend taking this weekend certification program. Kristie’s knowledge and experience is exceptional, not only in staging, but in redesign, paint and everyday decorating! Attending EPS™ training was the best decision I could have made as I start my home staging business! Kristie is so genuine and open about sharing her experiences and provided all the tools and advice needed to hit the ground running. There was a fantastic mix of talented professionals in our class – Those contacts combined with exclusive access to the EPS™ private Facebook page are invaluable. I left EPS™ training confident, inspired and excited for the future of my staging business! Thanks for sharing your energy and expertise, Kristie! It is such a privilege to have you as a mentor. Expert Psychological Staging is, by far, the best training class I have ever taken. I have staged a few homes, but I really didn’t have the knowledge and confidence I needed. This class gave me the knowledge and confidence I lacked! Kristie did an exceptional job presenting the materials. We covered so much in three days, but she made it so easy to understand. I loved that we actually had the opportunity to stage a home the last day. The hands on training topped off a perfect class. If Kristie gives another staging class, I will be one of the first to sign up. Kristie’s class was such informative and fun experience! I’ve done a couple on line courses in Staging and this was by far the best way to learn. Thank you Kristie! I’m so thankful I did it! In an attempt to school myself on home Staging I’ve watched many current HGTV shows. But there lacked a consistency in rules and reasons for said rules. But I recently took Kristie Barnett’s Psychological Staging Course and I was BLOWN AWAY. She has answers to why you do everything. It all makes sense, it all works . You learn and win and your client has an expert who can help her sell her house quickly at top dollar. What more is there? I learned everything I wanted and needed. Plus we actually staged a real home and the results were amazing. My only regret is I wish Kristie offered a course in plumbing 101 and French cooking. Kristie are you listening? This course is chocked full of information that will enable (and inspire!) you to start or grow your home staging business. Two full days of learning followed by an opportunity to put it all to use during a hands-on staging. I have already recommended this course to several friends! This course was well with the money. I cannot look at a color now without thinking about the undertones in it and what colors it would pair great with! She made a home stager out of me! I can’t say enough good things about this course!! Kristi’s EPS training course was so informative and really gave me the confidence to jumpstart my staging career. I loved the personalized experience and hands on training she provided. She gave me wonderful tools and tips and her ongoing support is invaluable. I loved every second of my experience in the course and highly recommend to anyone thinking about staging career. Thank you for all you do and for sharing your wealth of knowledge, Kristi!! The three days were full of information and really exceeded all my expectations. The material provided is perfect for reviewing and for using with clients as well. The camaraderie and new friendships are a plus during and after the class. I feel confident and ready to start my new business! I loved everything about this training. After following Kristie’s advice to sell two homes back to back, and generating a bidding war in the process I was anxious to learn as much as I could about this profitable information. The class was fun and engaging. Kristie did a great job explaining not only what to do, but why. It has opened up a door of opportunity that I didn’t even know existed. She has a beautiful approach to educating a home owner, while getting them to understand how they will benefit following her advice. I wish I could give her class 10 stars. Best time and money I’ve ever spent. Kristie Barnett is the real deal! Whether you’re an established stager or a newbie to the business you will walk away from the Decorologist®️ Expert Psychological Stager™️ course with sheer determination! Kristie is an exceptional teacher! Her passion, sincerity and unparalled career experience shines throughout this detailed course. I’m so happy I made the decision to take the leap and learn from the best. 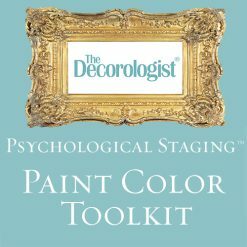 I just returned from taking The Decorologist®️ Expert Psychological Stager™️ course and I simply can’t put into words how great it was. Kristie is so knowledgeable and practical with her advice. I am a previous long distance client of Kristie’s and I was so thrilled to finally meet her in person. Kristie helped me to pick colors for my previous home and stage it via phone consult to sell. It sold in record time. After we moved into our new home, she again helped me pick colors. We recently decided to sell again and I used the knowledge that I had acquired from her before and her book to stage again. Every agent and person that walked through our home wanted to know who staged the home. We had multiple offer and it sold in record time. I simply can’t thank Kristie enough. Upon encouragement from my friends and family to pursue something that I am truly passionate about, I took the leap and finally took the course. I am go glad that I did and I am especially grateful that Kristie has a heart for pouring into other women and helping them find their passion in life. I have a degree in Interior Design but unfortunately in school, they don’t teach practical applications for the residential market in regards to color and styling. I felt I needed to brush up my skills, and this course gave me exactly what I needed while also educating me about the real estate/staging industry, another avenue for business I’m now highly interested in! Kristie Barnett really covers it all and does an amazing job fitting so much information into these 3 days. She’s an excellent teacher and speaker while also being very honest and open to any questions. I thoroughly enjoyed this course. Thankful to Kristie for sharing her expertise with us!